From the beginning the Poetry Center has been a home for visiting poets. No one did more to prepare a place for these visitors than Lois Shelton. 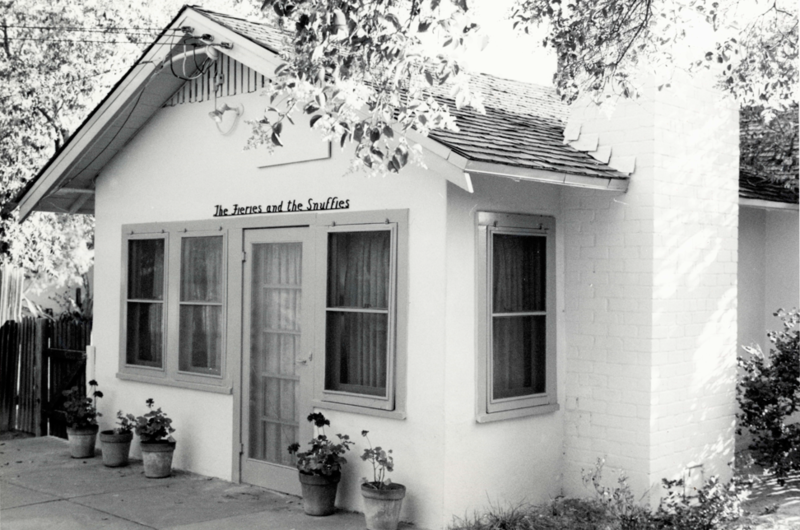 During her two decades of tenure as director of the Poetry Center, Lois opened the doors of the Poets Cottage—first in the location on Highland Street and then on Cherry Street—to hundreds of writers that she had invited to read on the University of Arizona campus, from Seamus Heaney to Joy Harjo. She welcomed others like Adrienne Rich or W.S. 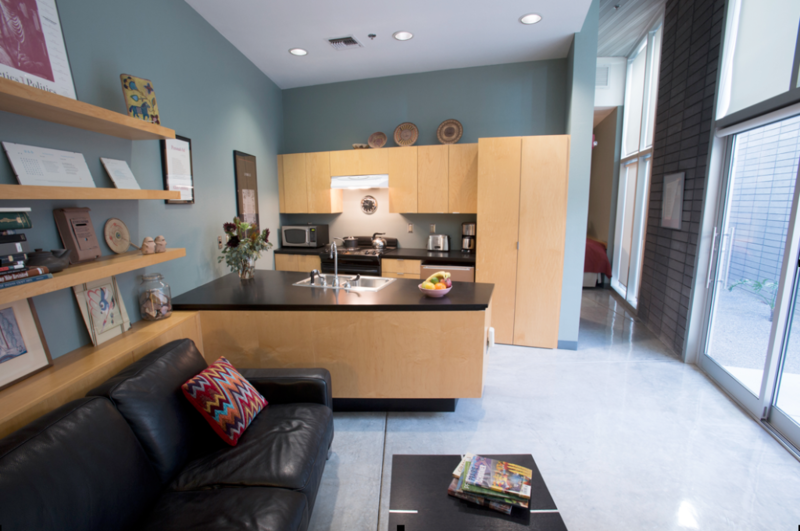 Merwin to spend a night or two at the Cottage when passing through Tucson. And she and her husband Richard Shelton regularly hosted parties and invited visitors like Lucille Clifton and Tomas Tranströmer into their own home and took them on adventurous excursions into the desert. The Poetry Center’s author files from the 1970s and 1980s are filled with letters and notes of gratitude to Lois for giving them unforgettable experiences of Tucson and southern Arizona. In total, more than a thousand poets have visited the Poetry Center since our beginnings in 1960, and Lois Shelton has played a central role in defining the Poetry Center’s reputation as a special place for poets and poetry. One of the few remaining unnamed spaces in the Poetry Center’s Helen S. Schaefer Building is the Poets Cottage. Since Lois’s passing in June 2015, the Poetry Center Development Council has been thinking about how best to honor her legacy at the Center. We have decided that naming the Poets Cottage in her memory is the most befitting tribute. We are writing to invite you to a reception – Saturday, May 7, from 2-4 p.m. – when we will gather with Richard Shelton at the Poetry Center to remember Lois’s enduring legacy. 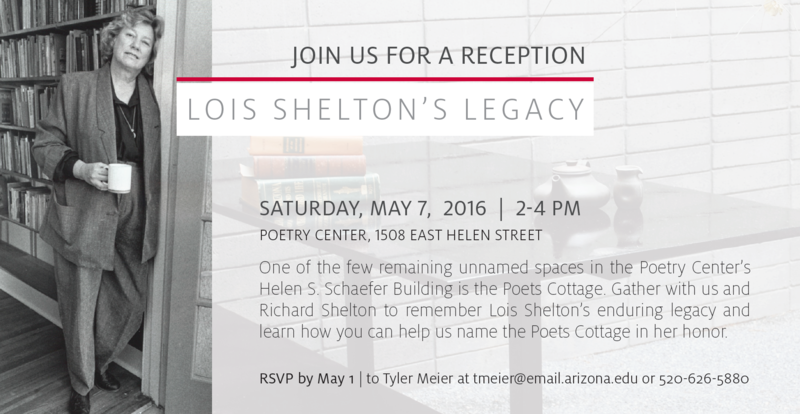 We hope you can join us to learn how we can all become involved in the Lois Shelton Poets Cottage so that the next thousand poets will feel welcome to Tucson in her spirit. Where: University of Arizona Poetry Center, 1508 East Helen St.